Focus Group and Roundtable Reports. Broadway Corridor Framework Plan. October 2015. A feasibility analysis of the Broadway Corridor’s potential to meet a number of established City objectives through the acquisition and redevelopment of the USPS site. The Framework Plan was informed by an advisory committee, public open houses, and stakeholder surveys. As a result of the Framework Plan, City Council authorized a line of credit of up to $40 million to generate resources to acquire the USPS property. Racial Equity Impact Assessment for the Broadway Corridor Project. Spring 2015. Broadway Corridor Steering Committee Charter. The charter outlines the purpose, scope, and roles and responsibilities of the Steering Committee, which will advise the Broadway Corridor Executive Committee on goals and implementation strategies for the development of the Corridor. The glossary is a living document that contains terms related to the Broadway Corridor project that aids in shared understanding of project definitions. Working Planning Tool: Guiding Principles, Project Goals, and Evaluation Criteria (Draft). November 2017. Planning document used by the Steering Committee to develop the Developer RFQ so that it aligns with the projects’ guiding principles and project goals. Broadway Corridor Toolkit for Public Engagement. Spring 2017. This document serves as a guide for public engagement around the Broadway Corridor project. These documents will be submitted to the EPA Brownfields Program to obtain $500,000 in cleanup funds for the US Postal Service site located at 715 NW Hoyt Street in Portland, OR. Comments pertaining to the proposed applications should be sent to Prosper Portland, Colin Polk, polkc@prosperportland.us, 222 NW 5th Ave, Portland, OR and will be accepted until January 18, 2019. EPA Brownfield Cleanup Grant Application and Analysis of Brownfield Cleanup Alternatives. EPA Brownfield Cleanup Grant Narrative. Broadway Corridor Request for Qualifications: Development Planning Advisory Services and Redevelopment of the USPS Property. Issued November 8, 2018. Through this Request for Qualifications (RFQ), Prosper Portland and PHB sought statements of qualifications from development teams to provide advisory services on development planning activities for the Broadway Corridor and upon successful completion of the Development Planning phase, the developer will have exclusive negotiation rights of the USPS Property. Union Station Multi-Modal Transportation Assessment. September 2017. 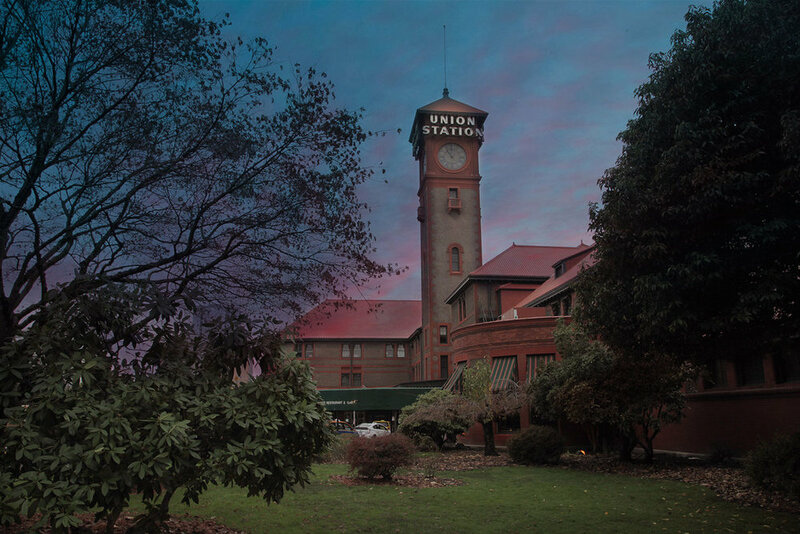 This document provides an overview of multi-modal transportation services, facilities, and issues in the vicinity of Portland Union Station.